by Emile Cou�. 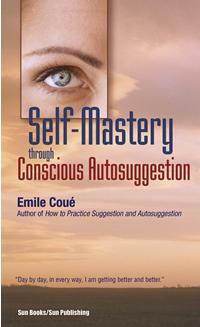 Self Mastery Through Autosuggestion, Thoughts and Precepts, What Autosuggestion Can Do, Education as it Ought to Be, A Survey of the "Seances", the Miracle Within, Everything for Everyone, Etc. 93 pgs. 5x8. Pbk. ISBN: 0-89540-095-2. $10.00.